First, I have to do some clapping today. 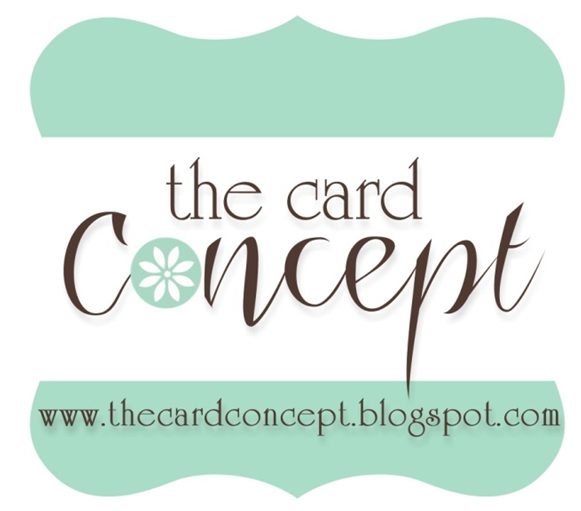 I went by Picture Perfect Creations to pick up the new challenge for this week and discovered I had won another Grand Creation Runner-Up Badge for my Butterfly Hi card that featured the Spotlight technique. Thank you, Thank You! It's so much fun to see your name in lights! 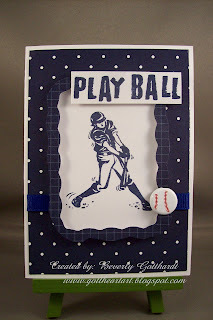 Now, for today a clean crisp card for all our sports enthusiasts out there. 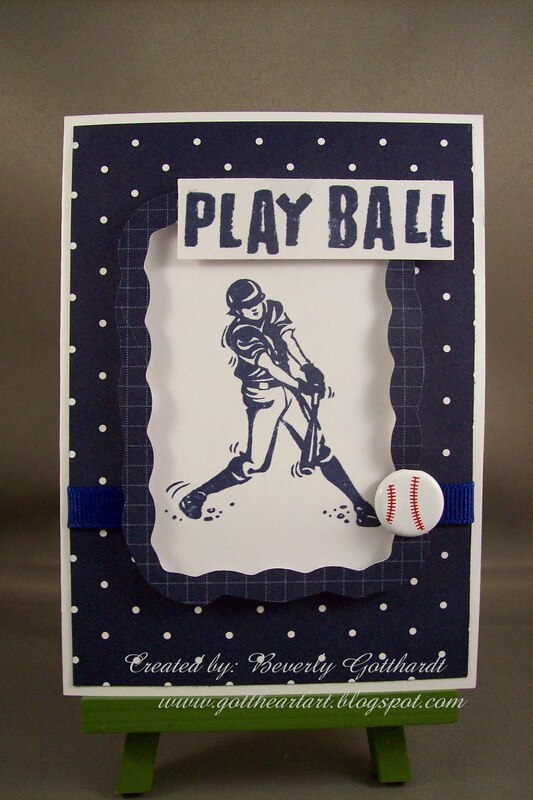 Supplies: White Card Blank 4" X 5 1/2" Halcraft, Papers: Stampin Up-Whisper White, Patterns Pack III, Stamps: CTMH-D1256 All Star, Ink: Stampin Up-Night of Navy, baseball brad-Carnival Crafts Hobby Lobby, ribbon-Offray, Fiskars shape cutter template-Frames-1, pop dots. Great card Beverley, thanks for taking part in our JIC blog challenge.